Getting your research into action! Earlier this year I joined the South Asia Urban Knowledge Hub (K-Hub) made up of research institutes located in Bangladesh, India, Nepal and Sri Lanka (one in each country), as their knowledge management specialist. The K-Hub is funded by the Asian Development Bank for three years and has some additional funding from the Bill and Melinda Gates Foundation (specifically on the topic of innovative sanitation). It’s an exciting initiative that I’m looking forward to working with. What exactly will I do? My role is to help the research centres have more impact with their research. There is often an underlying assumption that good information will lead to good decisions. In reality, decision-making is a process and researchers have a role to play beyond producing information (creating a report does not mean you have influence!). 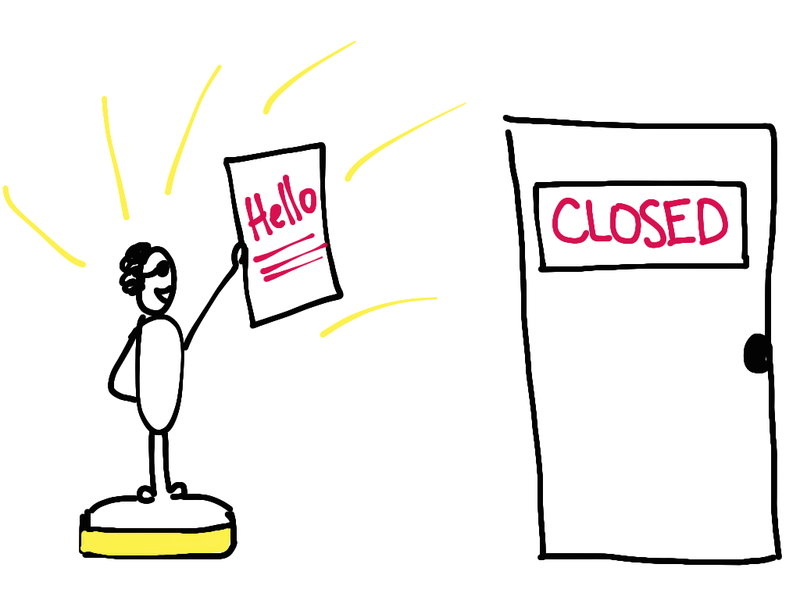 The people I’m working with are experiencing a shift from being predominantly researchers to ‘influencers of change’. Our internal K-Hub journey started with a capacity assessment, followed by a group training on how to influence policy and practice for researchers. 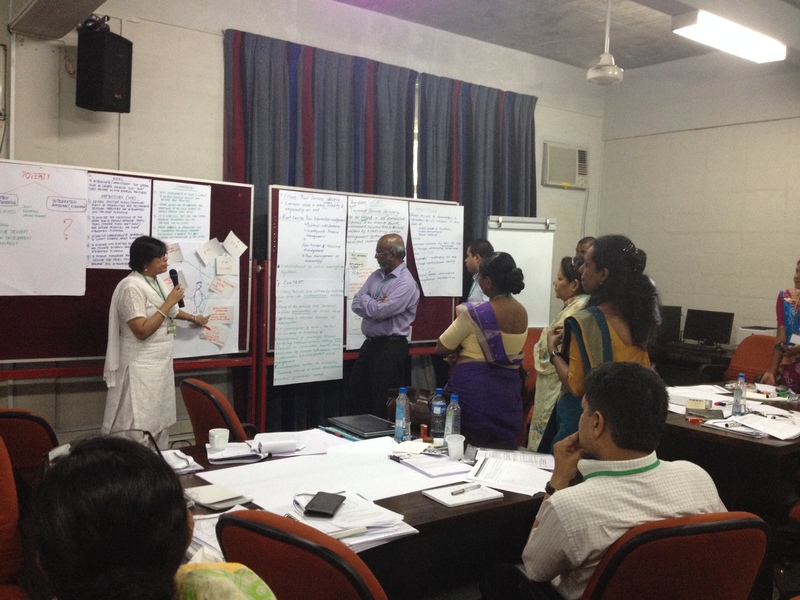 Each institute is now developing a work plan to guide efforts in their respective countries. 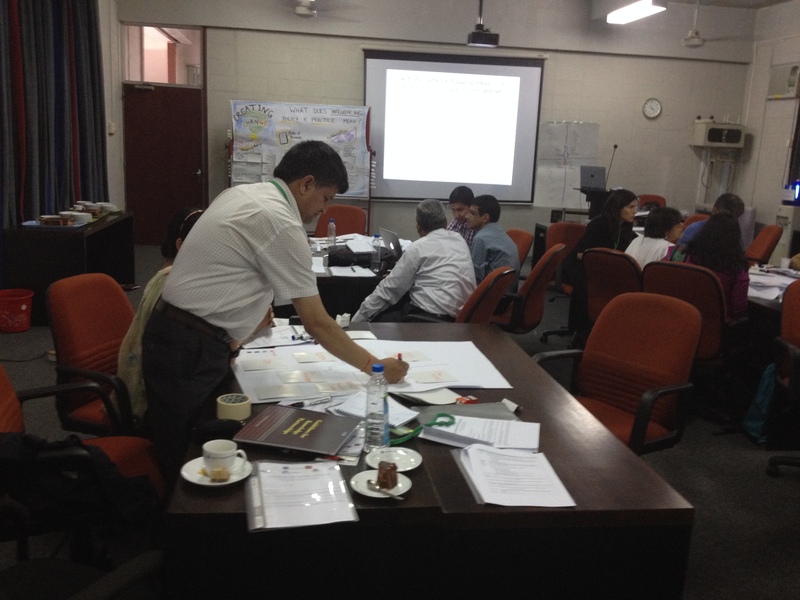 ITN-BUET from Bangladesh working on their influencing strategy. 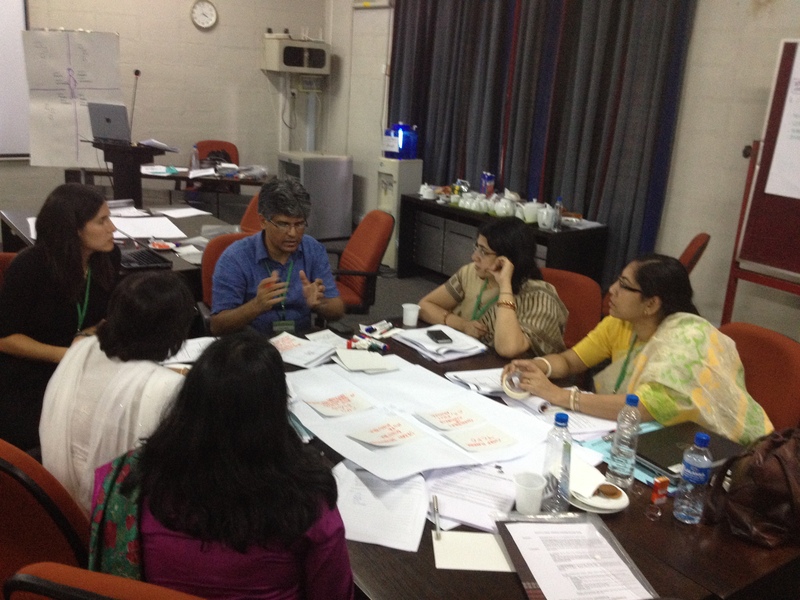 NIUA from India group discussion on influencing strategy. 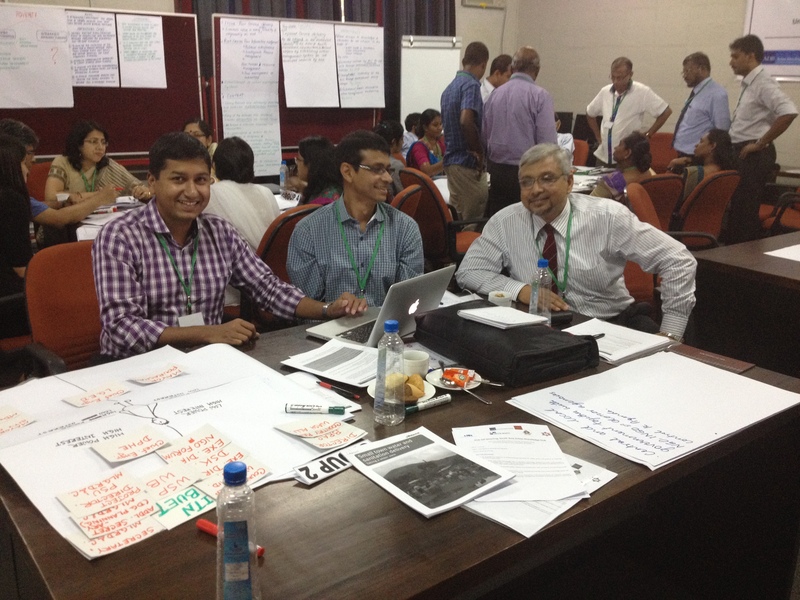 University of Moratuwa in Sri Lanka developing their influencing strategy. 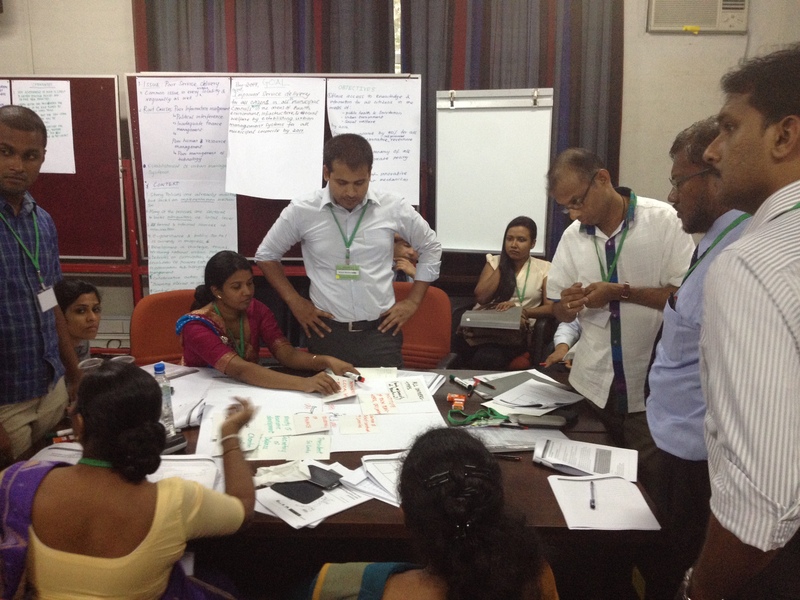 The workshop was in Sri Lanka so many team members participated! Institute of Engineering from Tribuvan University in Nepal and their government partner are working on their influencing strategy. They came on board just before the meeting so only 2 members were able to participate on short notice. The training we undertook in May 2014 introduced a process to help the researchers consider from the start how their findings might be used, and how to build bridges with others so the priorities they identify can become the priorities of their governments and practitioners. Given there are similar efforts being undertaken around the world (building capacity for influencing policy/practice), I wanted to share our process so far including the methodology we are working with. In developing the methodology, I reviewed numerous resources on line. Some of these resources are listed at the end of the training manual however many more were consulted, particularly on the theory behind influencing policy and practice. I also interviewed three practitioners who provided me invaluable advice. Thank you Enrique Mendizabal (onthinktanks.org), Nancy White (fullcirc.com) and James Georgalakis (http://www.ids.ac.uk/person/james-georgalakis) for generously sharing your ideas.